Don’t you just LOVE an easy meal that can feed the entire family AND keep well for leftovers … or a midnight snack?! Well, if that’s what you need this week, you’ve come to the right place. 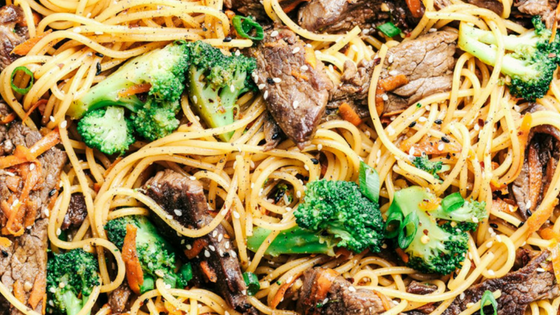 This easy, 20 minute Garlic Beef and Broccoli Lo Mein will be a hit with everyone, including your time and wallet!